Riot Act SE6 presents a series of renacted events from the 2011 London Riots focusing on the major role CCTV played in convicting those involved. For a few days, a blurred sense of freedom prevailed with rioters openly looting shops without covering their faces, only to be played back to the authorities from banks of CCTV footage. 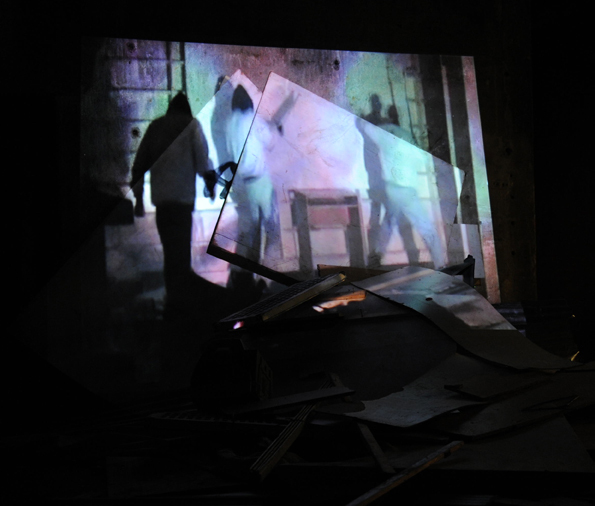 The performance/video focuses on the acting out of violence through mimetic gestures, and highlights the contained aggression rendered impotent within the looped playback. 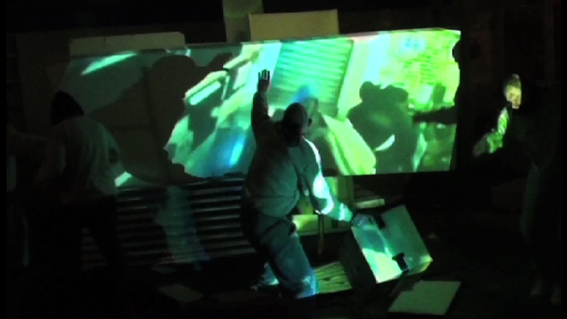 The first performance was filmed in a disused Blockbuster video store in Catford, left abandoned after being vandalized in the riots. 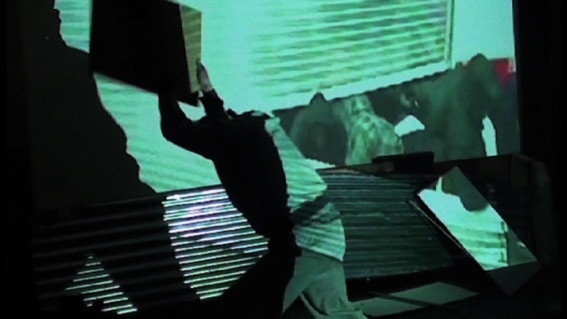 Original CCTV footage of looting was projected onto an assembled set, creating an obstacle course for the performers to interact with as they responded to the onscreen violence. BUNKER RIOT clip from rage bank on Vimeo.